"I'm not sure where I would be today if it weren't for Justin and the law firm he is with... You become a part of the family the day you become a client and there is nothing more satisfying... If you want the best, the most terrific, then this is the man you want as your attorney." "They're good people, plain and simple. I had the opportunity to work with Justin Demerath on a few issues. One where he had nothing to gain financially and the other, he did. There was no difference in his demeanor, the way he treated me or his intent. He just wanted to help in any way he could." "I want to thank you Justin for a job well done. My case was certainly a difficult one as attested to by the number of rejections I had before your name was given to me... You were up front about my chances for a win, never denying the road blocks that certainly would arise. I was impressed by the professional manner in which you handled my case." "The service I received from Justin Demerath has been unparalleled in every aspect. 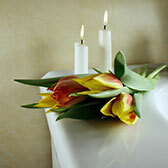 He is very professional, concise, and empathic towards his clients. My settlement exceeded my expectations on my collarbone injury case, in result of his strong desire for success." "WOW! I haven't seen this kind of customer service in years. Justin visited with me on the phone until all my questions were answered. He was extremely helpful, gracious, pleasant, willing, professional and very nice." "In the midst of dealing with insurance, body shop, doctors and staff all of whom were 'just doing their job'... Justin was a ray of sunshine on a very gloomy day in my life. He made me feel very comfortable and encouraged me to continue with my questions... Thank you Justin...God bless you." "Fantastic Representation. Justin Demerath represented me in a motorcycle accident where I was injured severely. The outcome was a best case scenario based on the realities of the at-fault driver. I received the largest settlement that was available and it turned out well. That was the bottom line, but what I wanted to comment on was Justin's willingness to explain each step of the process and his personal interest in my case. He came to visit me at my house while I was still unable to walk and his competence and ability to put things in simple terms allowed me to feel comfortable to take the details of my case off my plate and put it in his hands." "I am just so impressed in your scientific and legal knowledge. Your commitment and enthusiasm goes beyond compare. Should I ever need your services again or if someone I know needs your expertise, I will not hesitate to give you and call or make a referral." "My experience with the insurance companies over the 15 months following the accident was frustrating... I admit I was also reluctant to find a personal injury lawyer, based on the stereotype of personal injury lawyers that I had ... I no longer carry that stereotype with me, I've since learned better." "Great Representation. I was involved in an auto accident two years ago and, after unsatisfactory dealings with the insurance company of the other driver, I hired Justin Demerath to represent me in my claim for medical bills coverage.... Mr. Demerath is a true professional whose compassion for his clients and for the law is first rate." A Retired motorcyclist was killed as a result of injuries sustained when a commercial truck hit his vehicle due to a defective design in the vehicle. Our firm represented 3 of 4 surviving children of the deceased, as well as jointly representing the estate of the deceased cyclist. The values stated are for all children as well as the Estate. Past case values are not an accurate predictor of future results, nor the value of any potential client's particular situation. 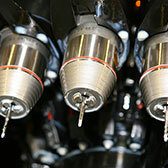 These case results are based upon unique and specific factual and legal circumstances. Each case is different. The same or similar results may not be able to be obtained for other clients in similar matters. Partial blindness, memory loss, and brain damage suffered by a worker as a result of an unexpected vehicle rollover of a defective product. Auto accident with a commercial vehicle which ran a red light causing a young man severe injuries that resulted in back surgery and prevented him from returning to work. The commercial vehicle driver was killed in the accident, and toxicology results showed him to be under the influence of marijuana while on the job. After serving two tours in Iraq, our client was hit by a commercial vehicle, suffering multiple broken bones and a spine injury. He was honorably discharged from the military due to his injuries and had a limited ability to earn a living. Following a fire that destroyed their home and badly burned their children, a family of four hired our firm to represent them against their apartment building that lacked the proper fire exits. 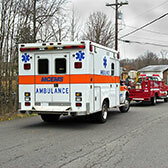 Open highway 18-wheeler accident, leading to the death of our client. We represented the Estate of the deceased, the widow of the deceased, as well as two adult children of the deceased when a wheel separated from a trailer. The values stated herein are cumulative. Construction worker's legs were crushed by a machine when the braking mechanism failed. Our client was in his 50's and unable to work at his chosen profession due to his injures. Mother and two minor sons were all injured in a multi-car accident in which they were hit from behind by a woman who hit the gas instead of the brakes. Our client's spine was fused in multiple locations, and her ability to earn a wage was limited. Man injured his spine in an auto accident involving a charter bus on Interstate Highway 35. Teenager involved in a single-car rollover accident in which she was ejected from the passenger seat of the vehicle she was riding in and fractured her skull. A wheelchair bound woman suffered broken legs due to the use of a customized shower chair that had faulty engineering rendering it an unreasonably dangerous product. Passenger injured in a vehicle T-boned by an intoxicated teenager who ran a stop light. The maximum amount of insurance was collected. Single-car accident. Passenger received soft tissue injuries when driver of her vehicle ran off the road to avoid hitting wildlife and flipped the car landing face down. The maximum amount of insurance was recovered. When you or a loved one has endured personal injury or wrongful death, you have the right to seek justice and compensation. O'Hanlon, McCollom & Demerath is committed to providing each and every one of our clients with compassionate advocacy and skillful, tireless, aggressive representation. Our number one priority is providing each client with the most desirable legal outcome to every issue they are facing. We believe that every client deserves and should receive one-on-one access and attention. 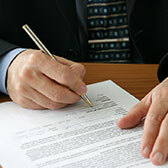 Legal issues can be daunting without the protection of knowledgeable and experienced lawyers. O'Hanlon, McCollom & Demerath is dedicated to resolving your unique situation with compassion and diligence. At O'Hanlon, McCollom & Demerath we ensure seamlessly integrated work product and representation through our utilization of state of the art technology and resources. We are committed to providing our clients superior legal representation at every turn. In our efforts to obtain compensation for our clients who have suffered injuries and the related indignities arising from the negligent actions of individuals and corporations, we pledge to provide you with a personalized, "no stone unturned" pursuit in achieving the most favorable outcome on your behalf in what are, undoubtedly, the most important and often life-changing situations you may ever experience. Our clients never owe any fees unless we obtain financial settlement on their behalf. We will go the distance for you. O'Hanlon, McCollom & Demerath offers you a free one-on-one evaluation of your personal injury case. Our clients never pay for our legal services unless we obtain a successful recovery of compensation for you. Contact us today for a free and confidential consultation with our experienced personal injury lawyers. Kevin O'Hanlon, the founding partner of O'Hanlon, McCollom & Demerath began practicing law in 1974 and has vast knowledge of all areas of litigation. Mr. O'Hanlon became Board Certified in Civil Appellate Law by the Texas Board of Legal Specialization in 1987, and in Civil Trial Law in 1990. Justin Demerath joined the firm as a law clerk during his final year of law school and has been with the firm since that day. He has dedicated his law practice to helping people who have suffered damages at the hands of others in the state of Texas recover monetary compensation. Mr. Demerath has one mission in his work: to fight for the rights of the clients he represents. 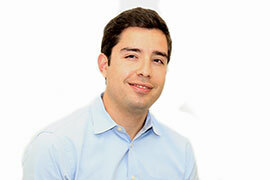 In 2010, Mr. Castillo graduated from The University of Texas at Austin with a Bachelor of Arts in Government. Upon graduation, Mr. Castillo worked as a government and history teacher in the Rio Grande Valley. 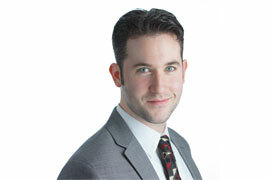 Nick Maddox is an associate attorney who represents clients in a diverse range of litigation issues. Licensed to practice in both State court and Federal court, Mr. Maddox handles injury, employment, business, and contract disputes. Ms. Hanley graduated with honors from the University of Notre Dame with Bachelors of Arts degrees in History and Art History. In 1998, Ms. Hanley graduated with honors from the University of Florida School of Law. During school, and continuing after graduation, Ms. Hanley clerked for the Public Defender's Office in Gainesville, Florida, gaining criminal litigation experience in the Misdemeanor Division. Alice Ward was born in Ithaca, NY and raised in Jersey City, NJ. The older of two daughters, she graduated from Friends Seminary, a Quaker high school, in 1996. Ms. Ward attended the University of Texas in Austin, attaining a BA in History in 2000. She also became a certified paralegal through Austin Community College. Adelie Alvarez grew up in Buda Texas and graduated from Hays High School. She has extensive experience in many areas of law. 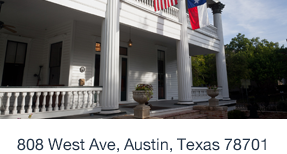 Since 2006, Adelie has worked for various local Austin attorneys. Every year, hundreds of Texans suffer serious injury because of the reckless actions of another. 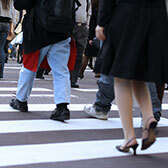 If you were hurt in a car accident or pedestrian accident, or a loved one was injured using a defective product, the personal injury attorneys at O'Hanlon, McCollom & Demerath are here to help. It is unfortunate, but it is usually up to the victim's family to pursue a wrongful death claim after the accidental death of a loved one. At a time when you feel most vulnerable and emotionally exhausted, a lawsuit is the last thing on your mind. But it's important to give it some consideration. 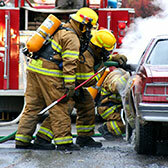 An experienced, dedicated Austin injury attorney can help. 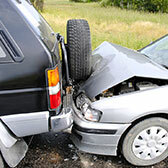 Car accidents carry serious physical and financial consequences. Injuries can leave you unable to work and prevent you from enjoying a normal life. To make matters worse, your insurance company may more committed to its bottom line than your recovery. At O'Hanlon, McCollom & Demerath in Austin, Texas, our main priority, is representing people who have been injured in car accidents and make them whole again. 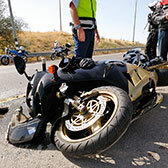 With the freedom and excitement motorcycle riders enjoy comes the risk of serious injury in an accident. Despite the consistent warnings drivers receive to â€œstart seeing motorcycles,â€� thousands of people across Texas are injured in motorcycle accidents. If you have been involved in an accident, you can benefit from immediate representation from an experienced motorcycle accident lawyer . Collisions between commercial trucks and cars or passenger trucks almost always result in life-changing injuries or tragic deaths. Because of the seriousness of these accidents, it's important to work with an experienced Austin personal injury attorney who will protect your rights. Whether you buy something from a big-box retailer, midsize market, outlet store, mall, or small grocer, you expect the product to be safe. However, sometimes you may buy a product that injures you, and product liability and defective product law dictates who is responsible for this breach of the implied warranty of fitness for the productâ€™s intended uses. The place from where you purchased the product, the company that made the product, or even the company that advertised the product may be legally held responsible for your injury. The defective drug product liability attorneys at O'Hanlon, McCollom & Demerath law firm understand that your injuries and complications may be the result of a defective drug. We are here to help you get the compensation you deserve for your injuries. The defective medical device liability attorneys at O'Hanlon, McCollom & Demerath law firm understand that your injuries and complications may be the result of a defective medical device. We are here to help you get the compensation you deserve for your injuries. Disputes are an unfortunate, and often expensive, part of doing business. At O'Hanlon, McCollom & Demerath in Austin, Texas, our business litigation attorneys are experienced professionals who can protect your interests if you are embroiled in a legal dispute. Car accidents are the leading cause of accidental death, bringing pain and grief to hundreds of Texas families every year. If a loved one has died in a fatal car accident, an SUV rollover, a collision with a commercial truck, or a motorcycle crash, you will be facing financial challenges, and we are here to solve your problems. Heavy equipment and workplace machinery can be dangerous even when itâ€™s used properly. But when that equipment is faulty, has defective parts, or has been improperly repaired or serviced, even careful users can suffer serious injury or death. The injury lawyers at O'Hanlon, McCollom & Demerath hold companies responsible for negligence in the manufacturing and maintenance of equipment and machinery that leads to injuries and deaths. Bike riders and cycling enthusiasts bear an unfair burden when car and truck drivers do not drive carefully. With so little protection beyond a bike helmet and their quick reflexes, cyclists often suffer severe injuries when a car makes a sudden stop or a truck turns into their path. 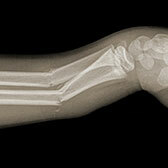 Sadly, many bicycle accident victims are children. If you have been seriously injured or a loved one has died in a bicycle collision with a motor vehicle or a cycling accident on a dangerous property, you may have a right to financial compensation. How do I choose the right attorney for my case? When you or a loved one has suffered an injury, hiring an attorney is one of the most important steps you will take toward seeking compensation from those who are responsible for your injuries. This can be a daunting and complicated process if you have never before hired an attorney and do not know how it all works. What are my rights as a client? If you ever have any questions about these rights, or about the way your case is being handled by your attorney, do not hesitate to express your concerns to your attorney. He or she should be readily available to represent your best interests and keep you informed about your case. Just after an accident or other event which seriously injures your or a loved one you may not know what to do or where to turn for help, especially when you have been injured by the negligence or wrongdoing of another person, or in many instances, the manufacturer of defective equipment or other products. After an accident in which you or a loved one are injured, and you have sought medical attention and have hired an attorney to handle your insurance claim, you may be on your way to becoming a plaintiff in a personal injury lawsuit if the insurance company has refused to make a reasonable offer of settlement on your injury claim. Could ERISA reduce my claim recovery? The Employee Retirement Income Security Act of 1974, known as "ERISA", is a federal law that may allow your insurance company, or your employer's health plan, to recover its costs on your claim, from a settlement or trial verdict award you may receive as a result of a personal injury lawsuit. This is known as "subrogation", and is considered to be a complex area of law. Potential subrogation interests should be discussed with your personal injury attorney after his/her review of any subrogation clauses in your insurance policy or your employer's health plan provisions. What information will my attorney need from me? When you or a loved one have been injured in any type of accident it is important to keep extensive documentation of the incident and your injuries. Your personal injury attorney will interact with insurance companies and defense attorneys on your behalf, and in order to make a proper claim for all the benefits you are entitled to, this documentation is necessary. Our firm represented a golf course grounds keeper who, due to a mechanical design defect in the industrial mower he was operating, was crushed under the machine when it fell into 15 foot ravine. The client suffered partial blindness, memory loss, and permanent brain damage. Justin Demerath, in joint representation with his father, Attorney Larry Demerath, represented the widow of a truck driver who was killed when his vehicle struck a large tire that had detached from another truck. Larry and Justin are pictured above with the client. Our firm represented a family in a wrongful death action against a large trucking company when their father was struck and killed by an 18-Wheeler due to a defective brake pedal. The case settled prior to trial. The brothers are pictured above. What is the Topamax Lawsuit? 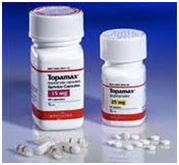 Topamax, is an anti-convulsant used to treat certain types of seizures in persons who have epilepsy. It is also used to prevent migraines. Studies have shown that Topamax can result in serious birth defects such as cleft palate or cleft lip. Our law firm is offering free consultations to parents of children who suffer from the side effects of Topamax and are interested in learning more about their legal rights. 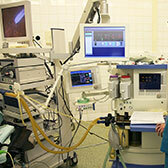 Topamax Side Effects Topamax can result in serious birth defects such as cleft palate or cleft lip. These birth defects occur when parts of the lip or palate fail to completely fuse together. The defect can result in a small, notched lip or in extreme cases, an open groove that extends from the roof of the mouth to the nose. Cleft lip and cleft palate birth defects can cause problems eating and communicating, and can increase the risk of ear infections. A scientific study, published in Neurology in 2008, established that taking Topamax significantly increases the risk of birth defects. The published study reviewed 203 pregnancies. Of these, 178 resulted in a live birth. Overall, the rate of oral clefts observed was 11 times more prevalent than the normal rate. Due to these and other serious side effects, the United States Food and Drug Administration (FDA) issued a warning for patients taking Topamax. The warning was raised to Category D, which means there is positive evidence of human fetal risk. Help If You’ve Been Injured by Topamax or Topiramate At O’Hanlon, McCollom & Demerath, our attorneys understand that your child’s injuries may not be your fault – instead, possibly a dangerous side effect of Topamax. Our expertise and experience, combined with our highly trained staff, make us uniquely well-equipped to handle even the most complex Topamax Lawsuit. For preliminary questions about your Topamax case, please see our Frequently Asked Questions page. If you suspect your child has a Topamax injury such as cleft palate or cleft lip, and you need to talk to a seasoned team of professionals, please contact us immediately for a free consultation. 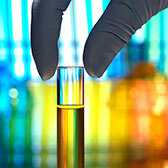 Our products liability attorneys are familiar with navigating complex pharmaceutical claims. Defective drug lawsuits can be complicated - not only must one prove a duty of care by the drug company, but a failure in the duty of care. In addition, to prevail in a Topamax lawsuit, one must show that the drug was the cause of one's injury. To ensure the best possible representation, contact our firm today. O'Hanlon, McCollom & Demerath fights for the rights of clients who have suffered personal injury at the hands of others in accidents and wrecks throughout Texas. Areas we serve include Austin, San Antonio, Waco, Rio Grande Valley, Corpus Christi, East Texas, New Braunfels, Cedar Park, San Marcos, Georgetown, Round Rock, Temple, Killeen, Belton, Bastrop, Leander, Lakeway, Lago Vista, Marble Falls, Elgin, Williamson County, Travis County, Hays County, and Bastrop County, TX.